An Li Liu is a traveller, yoga instructor, designer and the owner of An Li Studio. Her online store offers high-quality selection of giclee prints of original collages and paintings, digital illustrations, and eco-friendly hand-printed t-shirts. 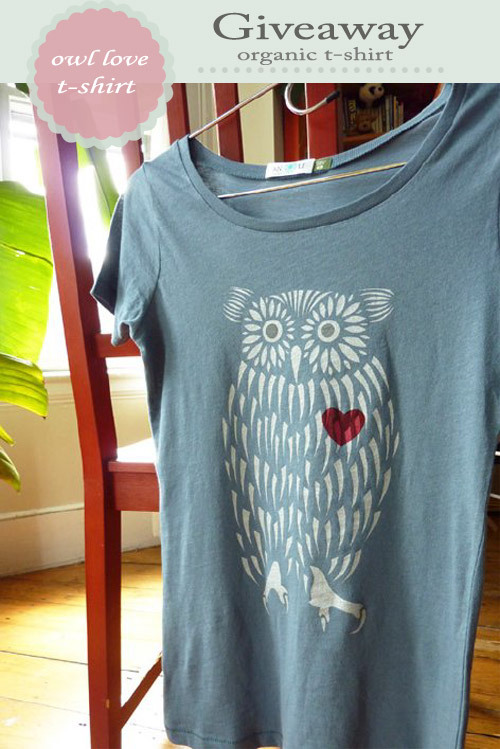 I am very excited to share that she has generously offered the owl t-shirt for a Valentine's Day giveaway.This heart-felt, flower-eyed, silvery fellow is printed on a mellow-blue 100% organic cotton scoop neck t-shirt. One lucky winner will win this adorable t-shirt in the size of their choice (available sizes - small, medium, large, or XL).The owl t-shirt is made with hand-cut stencils and then printed with silkscreens using high-quality, non-toxic, solvent-free, water-based inks. 2. 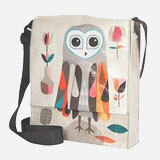 Sign up for newsletter to get "Owlsome Deal" delivered in your inbox. Make sure you leave a comment here letting me know that you are a follower and have signed up for the newsletter. I'll announce the winner sometime on February 14th! Update: pupton is our winner! I am a 'My Owl Barn' follower and I have signed up on the email list. How Exciting! I had to enter this contest! I am already a follower in blogger and twitter and no I am on the email list. Love this! I am a devoted follower! Please give me one of these amazing owlie t-shirts! I've signed up for the newsletter and have been following your blog for a couple of months now. I love it! Thanks for finding such cute things to post! Great shirt! I am a follower & get the newsletter. I follow your blog of course and just signed up for the newsletter!! I love this shirt!! Cute top! I'm following and subscribed. I am a die hard Owl Lover! I am super stoked to get the newsletter! Your blog is the first one I look at every morning! I used the Christmas printable to put pictures in as Christmas gifts, so thank you, thank you! I also have the lovely calendar in my work space- it is inspiring to see so many lovely Owls every day! I'm a follower of My Owl Barn and just signed up for the newsletter. Love this tee! I've been a follower and subscribed for a while!! Love it! follower on fb and subscribe...love.love.love. 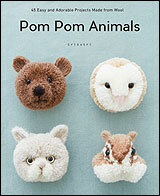 I'm subscribed to Owl Barn's blog and the newsletter too! Thanks. That tee is so cute!! 1. To be your follower: DONE! 2. Sign up for newsletter: DONE! Thank you so much for offering the giveaway! I am a follower and have signed up for the newsletter. Oh my sooo cute.. I am a follower now. and I signed up I also follow on face book!! i am a follower and i have signed up for the newsletter! I've done both to enter!! I LOVE this shirt!! Great page by the way... I come here often to dulge in the lovely creations, pictures and stuff... keep up with the creativity and wonderful ideas!! I was already a follower and signed up for the newsletter! So cute! I follow and have now signed up for the owlsome newsletter! I am a longtime follower and signed up for the newsletter! Yay!! I love this t-shirt!!! I follow your blog and just signed up for the newsletter! Owl hearts unite! Good luck everyone! I've been a follower and have been signed up to the newsletter for a while! I love this shirt! The t-shirt is adorable! Follower of the blog and signed up for the newsletter. Thanks! I am a follower and subscriber! Thanks for the giveaway!! love this! 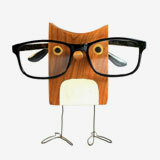 I am a follower and I have signed up for the Owlsome Deal newsletter. Love the owls! Did it! What a cute shirt! I want it so bad! would LOVE to win this adorable shirt!!! already follow but signed up for email list. cheers!!! I'm following and just signed up for the newsletter! all done! i love this t-shirt! I used the wrong account! Double comment!I need this t-shirt in my life! "I Love this! I am a devoted follower! Please give me one of these amazing owlie t-shirts!" I'm already a follower and also I signed up on the email list! Thank you for this wonderful site and for the opportunity to enter a contest for an amazing owl shirt! I am a loyal follower/subscriber. So cute! I'm a follower and just signed up for the newsletter! Thanks for the chance to win. I'm already a follower, and I signed up for the newsletter. I'm a follower and am signed up for the newsletters. Makes me smile every day! I am a follower & on Facebook, too. Pick me! I am a follower and love your blog, and have signed up for the newsletter. I'm a follower and signed up for the mailing list. Love the shirt. It looks so comfy and soft. I'm already a follower and signed up for the newsletter! I really love this shirt!! I'm already a follower and I signed up for the email. I have been a follower for quite some time now and also get the newsletter. I adore this shirt!!!! Fingers crossed!!! Follower and newsletter signed up. Very pretty. Done and done! I am a follower of the blog & FB, I have signed up on the email list. I have signed up on the email list. follower! love the shirt, too cute! so cute! following and signed up! I was already a follower and now I am signed up for the newsletter. Such a cute t-shirt! Done and Done. What a cute shirt! I am already a follower and just subscribed to the newsletter!!! Thanks for the chance to win this very cool tshirt! I signed up just to follow your blog! and cant wait to see what comes in the news letter! I am following your blog and signed up for the newsletter. I love owls and your posts are gorgeous. I follow and signed up! I am a follower and signed up for the newsletter! This shirt is amazing. Thank you so much! I love all your posts! i'm a follower and have signed up for the newsletter. Cute shirt! I've done both! I'm a follower and i signed up for the newsletter! I'm already a follower and just signed up for the newsletter. Thanks for providing my daily owl fix! I would LOVE to win the fab t-shirt! I have been a follower and signed up for the newsletter! I love me some owls! So awesome! I'm already a follower and subscribed! I am a follower and I signed up! I'm a follower since las tweek and have now signed up for the newsletter as well. You can find some owls on my blog too: www.peetmadeit.wordpress.com There will be some new ones shortly. love it! signed up & ready to win!! all signed up! hope I win!! I love the shirt very much! I'm a follower yet and I signed up for the emaillist. I just started following this awesome blog a week ago! Love it! I have done both! I love this blog...great giveaways! I am a follower and an owl lover!!! I live getting the lastest blog info and always live seeing what is out ther for us owl lovers!!! I love love live the tshirt!!! I am a follower and I receive the "specials" newsletter. Love love love the shirt. Thanks for the wonderful giveaway!! I love your site and I'd love to own this shirt! I am a follower and signed up for the email! Thanks for posting. i'm a follower and i signed up for the newsletter. Already a follower and signed up for the newsletter! I am a follower and signed up for the newsletter!!! 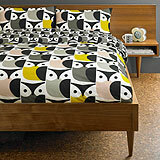 Love all the Owl items! Beautiful shirt. Already subscribed to "My Owl Barn" but signed up for your "Owlsome Deals". Hoot, hoot! L<3ve it!! I am a follower and I signed up for your newsletter. I am also obsessed with owls! I am a follower as Amy. I signed up for the newsletter. The shirt is so cute! I'm already a follower! Owl love owls forever! I'm already an email subscriber too! I am already a follower. I love owls. I signed up for the newsletter too. Did both!! Hope I win-- the shirt is soo cute! Done (: I love owls!! I'm a follower and have signed up for the newsletter. Love that lil owlie t-shirt, too cute...hoot hoot! Follower and signed up! LOVE that tshirt!! Lovely giveaway. I' a follower and have signed for a newsletter. I'm already a follower and I signed up for newsletter. Love this shirt! Beautiful and looks really soft and comfy! Was a follower and now a subscriber! I love your site AND that shirt! I am a follower and i rec the newsletter! hoot hoot! Beautiful shirt! I am a follower and now a subscriber to the newsletter. LOVE THE BLOG!!!!!! And the t-shirt!!! A follower of both, love this blog!!!! done and done, so cute! I am already a follower and and I have signed up on the email list. ... And I'm obsessed with owls! I am a follower, and I have signed up for the newsletter. Thanks for the contest. SOOOO cute! I would love to win one! I am an avid follower and I signed up for the newsletter. I am already a follower!! 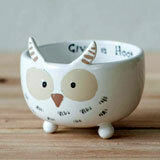 This would be an awesome gift for my daughter-in-law to be who is an owl lover and marrying my son in March. It's so cute I'd love to have it for myself! I love this tee! I am a long time follower and just added my name to the newsletter. I am a follower and I just signed up for the newsletter. Please sign me up for the giveaway. Love your blog! A follower & subscriber to newletter. Already a follower and signed up! Love it! Okay, although I come here daily on my internet surf routine, now it will be easier as I'm officially a follower and signed up for the newsletter! Done and done! What a beautiful shirt! If I win...XL, please! I am a follower and a newsletter subscriber! I've been following for a long time and just signed up for the newsletter. I'm a follower and I subscribed! I love your blog!! (I can't seem to log into my google account, so just in case, my email is chappill97@hotmail.com). Sono un sostenitore e sono iscritta alla news-letter. Incrocio le dita e spero che questa bellissima maglietta arrivi in Italia a casa mia!!! 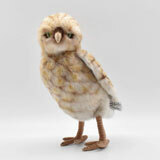 I am a follower and I have just signed up for 100owls Owlsome deals!! Yay! 2. I've signed up for the Newsletter. 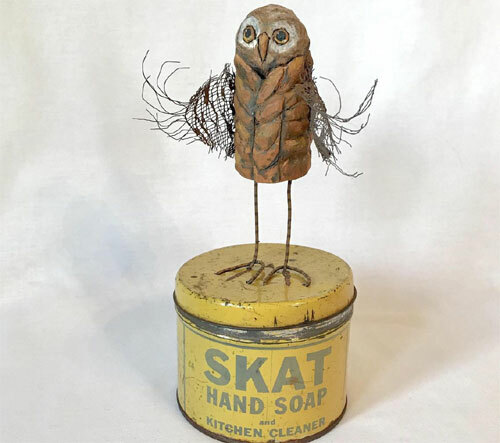 I am a follower of My Owl Barn and also subscribed to Owlsome deal newsletter. I hope I win this for my valentine. I'm a follower too & signed up for the newsletter (banhidiandrea@...), thanks for the chance to win this lovely T-shirt! I follow and am now getting the newsletter! Thanks! I Adore this Tee Shirt and I am already a follower here and Facebook! I also have your html link on my ByLightOfMoon Blog. I love the OWL BARN! What a sweet T - thanks for sharing so many wonderful Owly things. I'm already following your blog and now I'm signed up for your news letter too - woo hoo! Hello my dear! I'm a follower and subscriber! Wow what a great T-shirt! Recently found you and am a follower since. Now i've also signed up for the newsletter. There are some owls on my blog as well (www.peetmadeit.wordpress.com) and your blog has given me many ideas for new ones! I just signed up because I want this shirt! I follow with GFC and I am signed up for the newsletter. 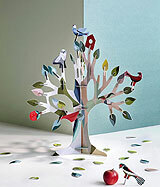 I am already a follower :) and I have signed up for the newsletter :) So beautiful I hope hope hope I win! Thank you for the opportunity. I'm a follower of your and I signed for the newsletter. Thank you so much for the opportunity. I'm already a follower and i signed for the newsletter. I was already a follower and I just signed up for emails. Such a cute t-shirt! Really nice t-shirt! I'm a birdwatcher and a follower now. I signed up the mailing list! You find the best OWL stuff ever! I'm already a follower and just signed up for the newsletter. I hope I win so I can show all the XO hooters at American University this amazing shirt! I too am a follower.. I am a follower and just signed up for the newsletter! I'm already a follower and I signed up for the newsletter!! I'm obsessed with your blog! Owls are the best! I am a happy follower and I have signed up for the newsletter. I'm an owlie follower. Love this! Signed up! Love the design and colors! I'm now a follower - I love owls! and I'm now subscribed for the newsletters as well! Already a follower and signed up for the newsletter. Yay! Followed... newslettered... am all set for entering the contest. :) Thanks!